Why travel outside of Hawaii for a hair transplant procedure? Hair transplantation is a very delicate procedure that involves the moving very delicate hair follicles from the back and sides of the scalp to the top of the head. This requires a dedicated team of physician and assistants who aer committed to every aspect of the procedure to ensure that the patient has the best result. Finding a dedicated hair transplant specialist in Hawaii is challenging. Thus there may be a need to look elsewhere for doctors who are dedicated to hair transplant procedures. Dr Sean Behnam is dedicated hair restoration specialist, this means that he performs only hair restoration, full time and no other aspect of medicine. 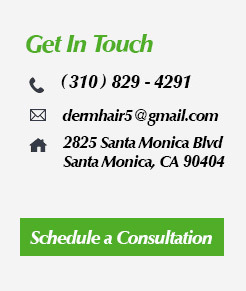 Dr. Sean has a permanent team of technicians that do hair restoration every day as well. He and his technicians have developed a protocal such that the patient is comfortable throughout the procedure and has the best possible result. There are many people that travel from the Hawaiian Islands to Southern California to meet Dr. Sean (Behnam) for a consultation or to have a procedure. 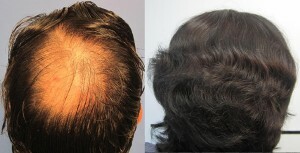 Dr. Sean has been performing hair transplants solely since 2008. He focuses on performing only oneprocedure a day to provide the up most quality of care. Dr. Sean Behnam has performed thousands of hair transplant procedures for both men women including eyebrow hair transplants. How to conduct long distance consultation with Dr. Sean? We can perform online consultation either through Skype or face time. You may email pictures of your thiining/ balding areas. Dr. Behnam will analyze the pictures and then contact you to discuss a remedy. During the consultation Dr. Sean will go though all options for hair restoration and help you choose the best plan for you . Theres no hard sell or pressure. We provide you with 2 nights of hotel stay. You may check in the day before your procedure and check out the day after the procedure after you check out with Dr. Behnam. The hotel is located in beautiful Santa Monica, right next door to our clinic..